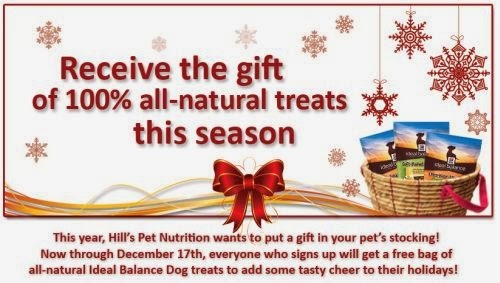 Get a free gift for your pet from Hill's Pet Nutrition. Click the link below to go to their Facebook. Once on their Facebook page "Like" them then fill in your mailing information to get your free Christmas gift for your pet.